I have gone from living in survival mode to having a body that senses so much through awareness and consciousness. 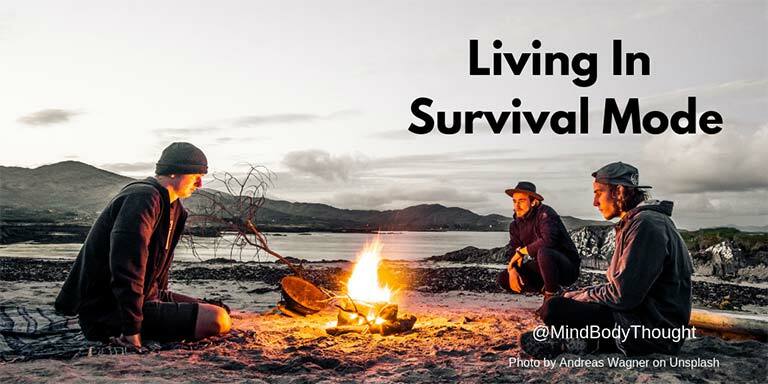 Are you living in survival mode? That might sound like a strange question, and you might be wondering what I mean by it. 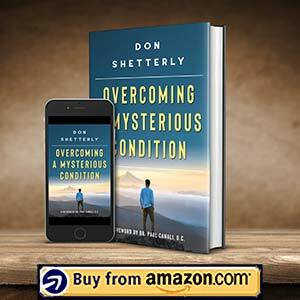 Actually, it is an important concept I write about in chapter 7 of my latest book, Overcoming A Mysterious Condition. Living in survival mode happens when we’ve experienced an event that was traumatic or stressful. In those moments, there is no escape and it is hard to not be impacted by what happened. We may walk away thinking we escaped it, but in all reality the cells of our body have created neural pathway connections in our brain. 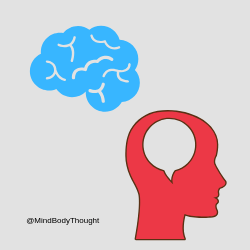 When you are living in survival mode, the disconnect between your body and brain becomes reality. You don’t feel or sense all that is going on in your life. It becomes dialed down in awareness. The longer it continues, the more you become a body divided against itself. As this happens, normal mind and body functions are pushed to the limits, altering what life and reality truly are. Survival mode shuts down self awareness; it causes loss of body communication and feedback. This loss opens the door for all kinds of disease and suffering to creep up on us while we are numb and unaware of what is going on. For a long time in my life, I didn’t realize I was living in survival mode. I thought my life was under control. I had a successful career and plenty of friends. The only thing that was missing was not being in touch with my life as much as I thought I was. 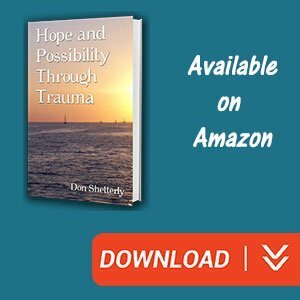 It all came crashing down on me when I was paralyzed and went through conversion disorder. We’re masters at convincing ourselves that we have life under control. We repeat our mantras and memes, convincing ourselves that positive thoughts alone will make all the difference. 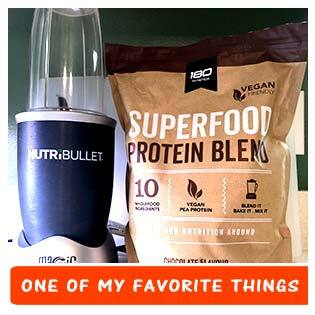 While it greatly helps, we fail to see how we are living in survival mode in the body. Then when the ills, aches, and pains of life’s stress catch up with us, we’re brought front and center to our lack of awareness. We can try to convince ourselves all day long that we’re in control, but sooner or later, it will catch up to you. I know that firsthand in my own life. When we want to come out of living in survival mode, we must engage the felt sense. Mindfulness alone will only go so far. When you can go in through the felt sense and touch the innermost being of your existence, that’s when things begin to change. It is when you meet your own awareness head on so that you can make different choices. All too often, we think that the ills, aches, and pains in life are something we have little control over. Through my time with Dr. Canali, I’ve seen how much things can change that I didn’t think was possible. It isn’t as hard as it sounds either and it is possible. 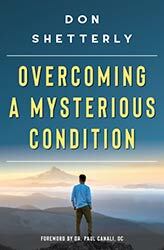 In my book, Overcoming A Mysterious Condition, I’ve written extensively about my process through what I faced. I have gone from living in survival mode to having a body that senses so much through awareness and consciousness.